Never tried this product before but someone had very good reviews. Price dropped after I purchased. Fast delivery and taste awesome. Will re-order again. Highly Recommend Returned customer. Items received in good condition. Returned customer. Items received in good condition. Prompt delivery. Item received in good condition. Received with thanks! Great item! How to confirm that the product is genuine. I want to make sure it is not counterfeit as my father has cancer. It is original confirm. 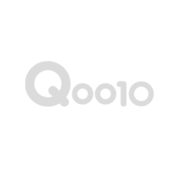 Have sold many in qoo10 already. Your stock is Singapore stock, right ? Just qurious why you can sell half price compare to original website ? Can you advise ? What's the current batch expiring month/year? How many sachets in one box? For an average healthy person, best to take 2 sachets for 2 weeks to a month and maintain after with 1 a day. Hi is authentic Singapore stock or from Malaysia ? ♣❀Jeunesse RESERVE ❀Latest Expiry **NEW STOCKS**08/2020❀♣AUTHENTIC Singapore stock♣ **NEW PACKAGING!